[S490] International Genealogical Index (IGI) Ruth Pearson, 1829; Original Source: Parish Registers, 1565-1905 Church of England, Parish Church of Dalton-In-Furness (Lancashire),Source 1471899, Batch Number C005164. [S792] Ruth Rigg, Ruth Rigg Death Certificate. [S490] International Genealogical Index (IGI) Ruth Pearson, 1829; Original Source: Parish Registers, 1565-1905 Church of England, Parish Church of Dalton-In-Furness (Lancashire),Source 1471899, Batch Number C005164; shows John Pearson as father. [S220] John and Ruth Rigg's Marriage Certificate: shows the bride's father as John Pearson. [S490] International Genealogical Index (IGI) Ruth Pearson, 1829; Original Source: Parish Registers, 1565-1905 Church of England, Parish Church of Dalton-In-Furness (Lancashire),Source 1471899, Batch Number C005164; shows mother as Hannah Pearson. [S485] 1851 England Census, Lancashire County, Dalton, England, GSU Roll 87302, shows age 22. [S494] 1861 England Census, Lancashire County, Dalton, England, GSU Roll 543090, shows age 32 and birthplace as Lancashire. [S477] 1881 England Census, Lancashire County, Dalton-In-Furness, England, GSU Roll 1342023, shows age 52. [S387] 1891 England Census, Lancashire County, Dalton, England, GSU Roll 6098588, shows age 62 and Lindal as birthplace. [S220] John and Ruth Rigg's Marriage Certificate: shows residence. [S221] Benjamin Rigg, Birth Certificate File Number 452 (24 February 1865). [S224] Thomas Rigg, Birth Certificate File Number 128, shows mother as Ruth Rigg, formerly Pearson (25 June 1852). [S983] England Births and Christenings: Thomas Rigg, 27 June 1852; Dalton-In-Furness; shows mother as Ruth Rigg, Ancestry.com. [S225] John Ashburner Rigg, Birth Certificate File Number 159, shows mother's name as Ruth Rigg, formerly Pearson (30 June 1854). [S983] England Births and Christenings: John Ashburner Rigg, 9 July 1854; Dalton-In-Furness; shows mother as Ruth Rigg, Ancestry.com. [S997] Family Search Website, online www.pilot.familysearch.org, England Baptisms, 1700-1900; John Ashburner Rigg; shows mother as Ruth Rigg. [S539] John Ashburner Rigg, British Isles Vital Records Index, Second Edition, Christening FHL Film 1471899 (1692-1890). [S983] England Births and Christenings: Elizabeth Jane Rigg, 23 January 1859; Dalton-In-Furness; shows mother as Ruth Rigg, Ancestry.com. 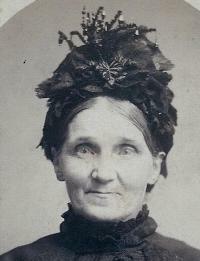 [S490] International Genealogical Index (IGI) Elizabeth Jane Rigg, 23 January 1859; shows mother as Ruth Rigg. [S227] Unknown volume, Joseph Rigg's Birth Certificate: shows mother as Ruth Pearson, 6 apr 1861, unknown repository. [S983] England Births and Christenings: Joseph Rigg, 23 March 1861; Dalton-In-Furness; shows mother as Ruth Rigg, Ancestry.com. [S228] William Robert Rigg, Birth Certificate File Number 239, shows mother as Ruth Rigg, formerly Pearson (21 March 1863). [S983] England Births and Christenings: William Robert Rigg, 14 March 1863; Dalton-In-Furness; shows mother as Ruth Rigg, Ancestry.com. [S221] Benjamin Rigg, Birth Certificate File Number 452, shows mother as Ruth Rigg, formerly Pearson (24 February 1865). [S983] England Births and Christenings: Benjamin Rigg, 28 January 1865; Dalton-In-Furness; shows mother as Ruth Rigg, Ancestry.com. [S222] Edward Rigg, Birth Certificate File Number 453, shows mother as Ruth Rigg, formerly Pearson (24 February, 1865). [S983] England Births and Christenings: Edward Rigg, 5 March 1865; Dalton-In-Furness; shows mother as Ruth Rigg, Ancestry.com. [S804] Septimus Pearson Rigg, Birth Certificate File Number 65, shows mother as Ruth Rigg, formerly Pearson (8 September 1869). [S387] 1891 England Census, Lancashire County, unknown cd2, England, GSU Roll unknown cd7.